When you need a large shield with a distinctive look, be sure to look up this fantastic option! 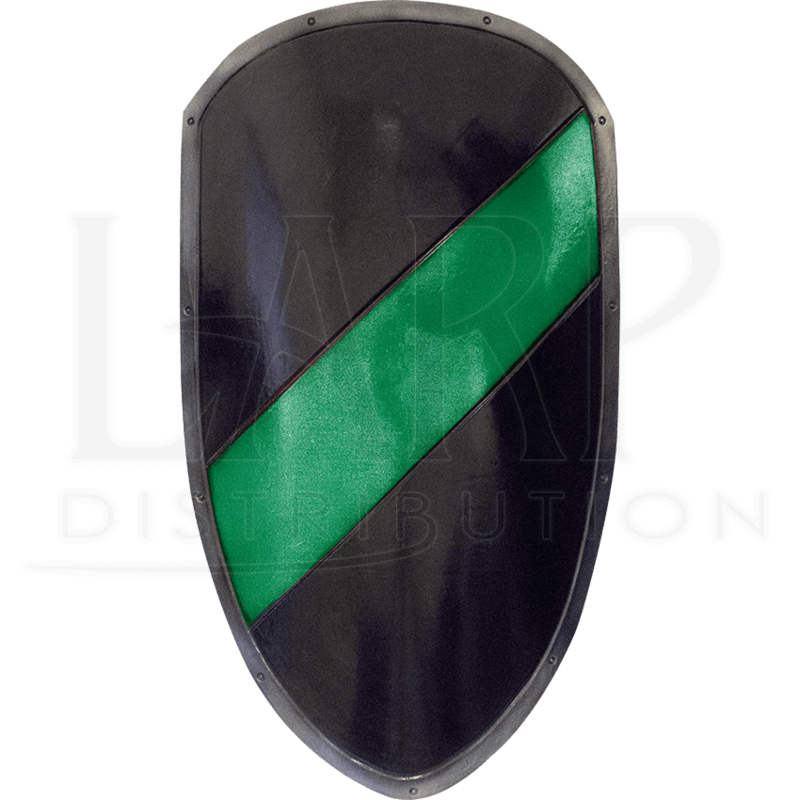 The Green and Black Striped Ready For Battle Large Shield displays a bright green diagonal stripe across the black background color. A metallic strip runs along the edge of the design. Made from hard EVA foam and coated with latex, this roleplaying shield possesses the strength and durability to get you through battle. 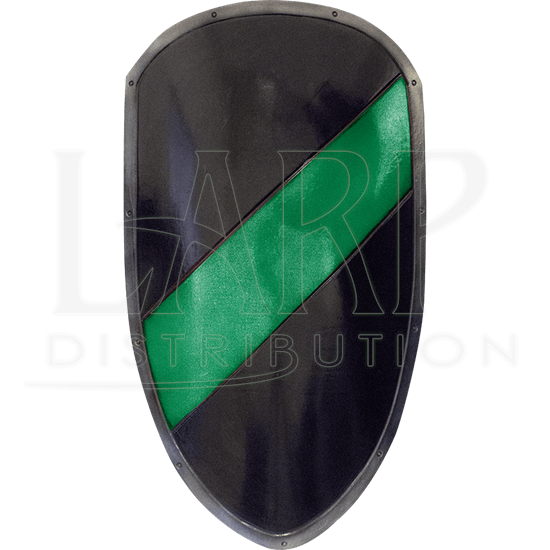 Make sure you are properly equipped for your next event with this RFB shield on your arm! Please be aware that measurements can vary slightly as this is a hand-made item.